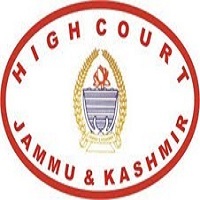 J&K High Court Notification 2019.High Court of Jammu and Kashmir has released a notification for the recruitment of Urdu Stenographer, Assistant Protocol Officer, Accounts Clerk, Driver, Process server, sweeper etc vacancies.Check the eligiblity and notification prior to apply for the positions. B. Lib or M. Lib holders can apply for library assistant post. Driver post applicants must have passed SSC and must possess Valid driving license. For Orderly, chowkidar, sweeper posts the qualification is SSC/ its equivalent. For remaining posts the qualification is graduation/ diploma. Minimum age for applicants is 18 years, Maximum age for Unreserved category candidates is 40 years, SC/ST is 43 years, physically challenged persons is 42 years. Candidates will also get grade pay allowances monthly. Candidates either through written test/ interview candidates will be recruited. Mode of applying for J&K High Court Recruitment 2019 is through online mode. From 15th January 2019 to 03rd January 2019 the online application link will be active. http://jkhighcourt.nic.in is the link to apply online.